Zeani, Thomas Grubb, Mary Ann Hart, Roy Samuelsen, Richard Hundley, Edward Penhorwood, Andreas Poulimenos, Mark Clark, Susanna Rigacci, Donald Simonson, and Scott Piper. Dr. Lin has performed as a soprano soloist in the U.S., Italy, Germany, Taiwan, Japan, Shang-Hai, Singapore, Malaysia, Spain, Macao, and Slovenia, singing in large choral works, opera scenes, and many recitals and concerts. Lin made her Carnegie Hall Stein Auditorium debut in the “Rising Stars Concert” (Oct. 2011). She has had successful solo recitals in the National Concert Hall in Taiwan (Frühlingsstimmen, 2013, Azulão, 2016, Mädchenblumen, 2016, Apparition, 2017, Clairières dans le ciel, 2018). Lin has been a guest recitalist at Indiana State University (2016), the faculty concerts in the Saarburg International Music Festival (2012, Germany) and the Brancaleoni International Music Festival (2018, Italy). Lin was featured as the soprano soloist on Brahms’ Ein Deutsches Requiem, Bruckner’s Te Deum, Mozart’s C minor Mass, and Händel’s Messiah, among many other engagements. She was the soprano soloist with Indiana University’s Contemporary Vocal Ensemble, the Conductor’s Orchestra, and the International Vocal Ensemble. Lin is a National Association of Teachers of Singing (NATS) Artist Award Competition Indiana district winner (2010), a finalist in both the Neue Stimme International Vocal Competition in Japan and the International Mondial Chinese Vocalist Concours in Taipei. She received an honorable mention award in the Bel Canto category in the Second Chinese International Vocal Competition in NYC, and the Bel Canto award of the Orpheus National Vocal Competition in Murfreesboro, TN. During her studies at IU, she was awarded several prestigious scholarships including the Dean’s Scholarship, the Mendel Award, and the Opera Scholarship. Dr. Lin is a passionate promoter of contemporary music. She premiered the song cycle “Six Poems from the Sanskrit”by Dr. Peter Burkholder and vocal works by Dr. Robert Hatten in a Faculty Recital with Prof. Shuichi Umeyama on the piano (2011), and she premiered the song written for soprano and interactive computer “I sing under the wandering moon”(2017) by Dr. Yu-Chung Tseng, song cycle “Poems of Thirteen Lines” by Dr. Chia-Ying Chiang (2014), song cycle “Songs inspired by Zhuangzi” by Dr. Paul SanGregory (2010), “Jabberwocky” by Gabi Teodoru (2006), and “The Camellia” by Prof. Ton-Yio Su (2005). Dr. Lin is currently an Assistant Professor at Tun Hai University and the National Taiwan Normal University. Lin’s previous teaching experience includes adjunct Assistant Professor of voice at Fu Jen University (2011-2018) and Soochow University (2014-2018), and Voice Consultant at the Bedford North Lawrence High School. Her students have won the National Championship in the ACE National Competition (2011, USA), first place in the ACE Competition Indiana District (2011, USA), third place in the Music Competition in the Taichung District (2011, Taiwan), first place in the English Choir Competition (2011, Taichung, Taiwan), and admissions to prestigious music schools such as Indiana University and the Yong Siew Toh Conservatory of Music. Lin has been teaching undergraduate and graduate courses in fields such as Vocal Pedagogy, Song Literature, Opera Literature, Opera workshop, French Diction, Music Appreciation, On the Art of Singing, Career Skills, et cetera. Dr. Lin is also active in academia. She has given lecture recitals in engagements with the Taichung National Theater on topics of Bach and Schubert. Dr. Lin has given master classes at TongJi University in ShangHai (2018), Indiana State University (2016), Tun Hai University’s Opera Workshop (2011) and Indiana University’s Graduate Music Theory class “Music and the Poetic Text” (2011). Lin was invited by the New Voice Educators Symposium (2010 and 2011) to present her research on vocal pedagogy, and she has performed in the “Living Composers Forum” (2009, Edward Penhorwood; 2007, Richard Hundley), and Prof. Patricia Wise’s lecture recital “Seldom Sung Songs: Three Centuries of Italian Songs” (2009). 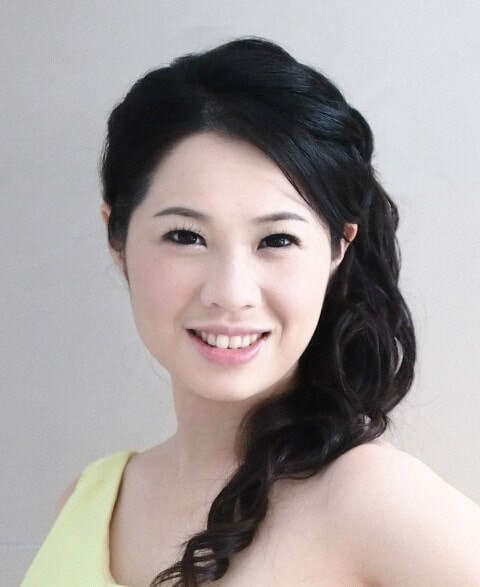 Lin has served as a board member in the IU Student NATS (2004-10) and the vice secretary in the Taiwan Vocalists Association (2016-8), and she is currently a member of the council in the Taiwan Vocalists Association. Dr. Lin is also the co-editor of the “Italian Songs and Arias” volume I~V published by the Taiwan Vocalist Association.